A Brazilian businessman has devised a technological solution to the problem of high book prices and lack of school libraries in his country. 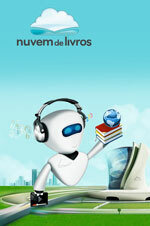 Jonas Suassuna’s online library, Nuvem de Livros (Cloud of Books), offers more than 10,000 titles to one million subscribers who can read the content on their computer, tablet or smart phone. Developed in collaboration with the Brazilian unit of Spanish telecom giant Telefonica, the online platform allows users to access educational content and literary works without the need to download the material. It also has features that allow users to search through books chapter by chapter and find specific terms, bookmark pages or study interactive maps. Students are charged US $1 per month, while private individuals pay US $3.50 per month for unlimited access to the content. “Brazil’s government has mandated that by 2020 all schools must have a library with at least one book per student. Anyone familiar with the reality of Brazilian public schools knows that will be very difficult,” Suassuna said. The entrepreneur said it made more sense to have digital libraries rather than physical ones—particularly in view of the high internet use in the country. He said one of biggest difficulties in carrying out the project was convincing book publishers to come on board. They were concerned about the possibility of piracy.